Meet scientist Marie Curie and learn about her life and pioneering research in this engagingly illustrated biography. At a time when women weren't welcome in the world of science, Marie Curie made her mark on history. She was the very first woman to become a professor of physics in the Sorbonne, where she had studied, and even went on to win Nobel Prizes in two different scientific fields. 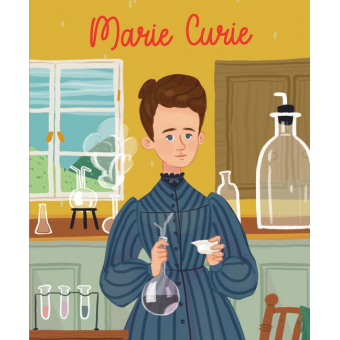 With this fascinating biography, kids will find out how Curie, along with her husband, set up their lab and discovered both polonium and radium, and why their work on radioactivity was so important. Appealing illustrations, information on her breakthroughs and successes, and an index of major events reveal how Marie left her mark on humanity. A timeline and simple quiz help kids test their understanding and knowledge.